Micromax Canvas 4 the just released flagship device by Micromax comes with cool new features. 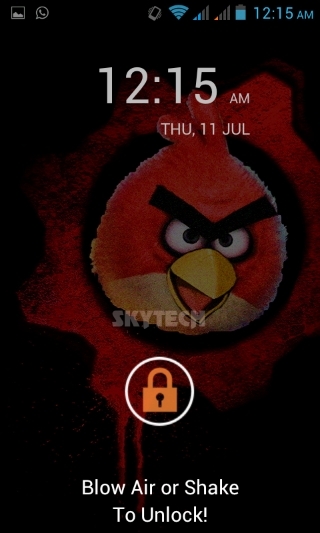 Micromax have included some new apps and software tweaks one of them is ‘Blow to Unlock’ or ‘Shake to Unlock’. It allows a user to simply unlock the device by simply blowing air near mic or shake your device. If you want this feature and without even buying a new Canvas 4 then give this a try. Now enjoy the Blow air to Unlock feature right on your Android device! !